Brain cancer kills more children in Australia than any other disease and survival rates have barely increased in the last 30 years. But, thanks to new research by Associate Professor David Ziegler at Sydney Children’s Hospital, Randwick, new clinical trials are providing hope for families when previously there was none. Families like Caleb’s. At nine years old, Caleb was diagnosed with an aggressive brain tumour at the back of his head. From that point on, everything moved very quickly and his family found themselves in a situation they could never have imagined. Three days after his diagnosis he was scheduled for major surgery. His family barely had any time to think or prepare before Caleb underwent an eight-hour procedure to remove the tumour. Caleb then spent 24 hours in the Intensive Care Unit and the family were told that even though some of the tumour was too close to the brainstem to be removed, everything was looking good. A few weeks after surgery, he started a six-week course of radiation. By the time this part of his treatment came to an end, he had been in the Hospital for three months straight. After a six week break over Christmas, Caleb then started chemotherapy. His mum, Suzanne, said witnessing this was particularly scary and knowing it would need to continue for the next seven months was an extremely daunting prospect. Caleb has now completed chemotherapy but comes back to the Hospital for regular check-ups. Although he still requires a wheelchair at times, he’s walking again and back at school with his friends. The treatment Caleb received was only possible thanks to a clinical trial run by Dr Ziegler at the Hospital. This trial meant his tumour underwent molecular profiling, and his treatment was tailored to give him the best possible chance of a cure. One way you can help kids like Caleb in the future is by attending the Greek Young Matrons' Association's Christmas Ladies Luncheon. 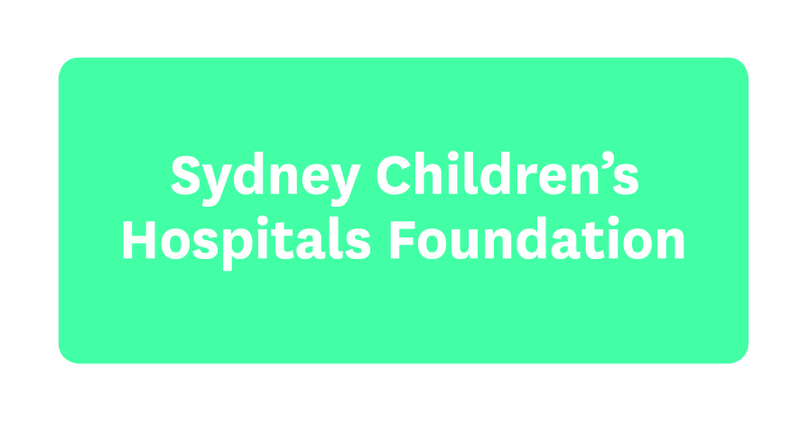 Taking place on Friday 23 November, this special event is specifically supporting the ground-breaking research of Associate Professor David Ziegler at the Kids Cancer Centre, Sydney Children’s Hospital, Randwick. Tickets include a delicious three course meal and guests will have the chance to win some amazing raffle prizes worth over $500. Call Committee Member Evelyn Karalvelas on 0421 118 899 to book yours today. Supporting the Hospital since 1995, the Greek Young Matrons' Association has benefited many areas, including Outpatients, Emergency Department and the Short Stay Surgical Ward. The Assocation has raised over $1.1 million and the impact their donations have made is outstanding. The Outpatients Department has improved the entire service, funding clinics such as the nut allergy clinic, purchasing vital equipment, and creating a play therapy service. We're delighted the Association has chosen to fundraise for brain cancer research. It will make a huge difference to the vital work of Dr Zeigler.